Have you been reading lots of stories this past week with the kids? We have! I took a leaf out of Dana’s book and renewed my local library card and borrowed a tonne of children’s books to read with the kids during the day at home. We’ve been loving having some new stories to dig into each day! 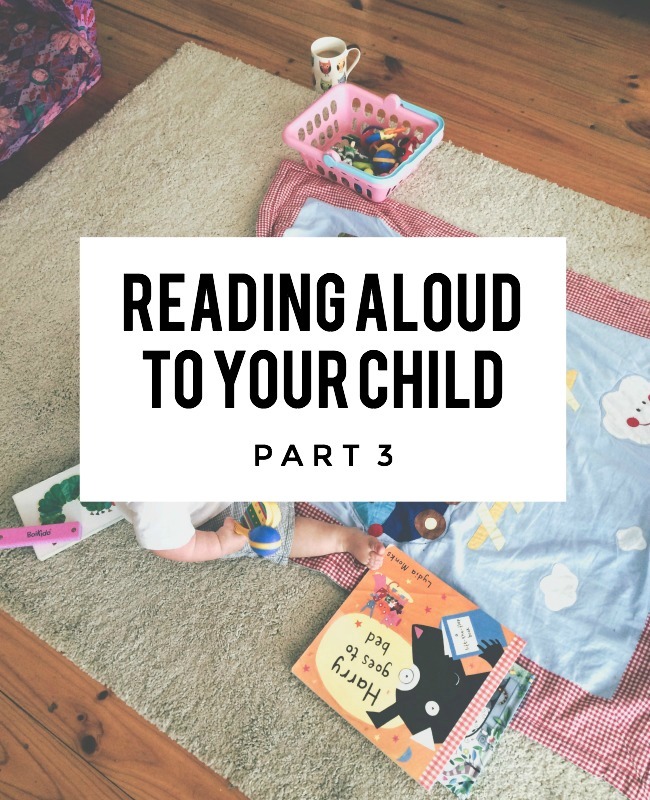 Today, guest contributor Da Poppins is back with Part 3 of the Read Aloud series. Catch up with Part 1 + Part 2. Spoiler Alert: there’s a bonus free download Reading Aloud “Cheat Sheet” too! Some books are more fun than others to read for story time, and sometimes it can feel a bit like lucky dip when faced with a large selection of books to choose from. What I know about books is nothing compared to a librarian or bookseller, but I don’t let that stop me. Children’s picture books are my favourite and new-to-me books are easy to assess in just a few minutes. Because we know that you can’t always just a book by it’s cover, I’ve put together my personal nanny tips to help you out! 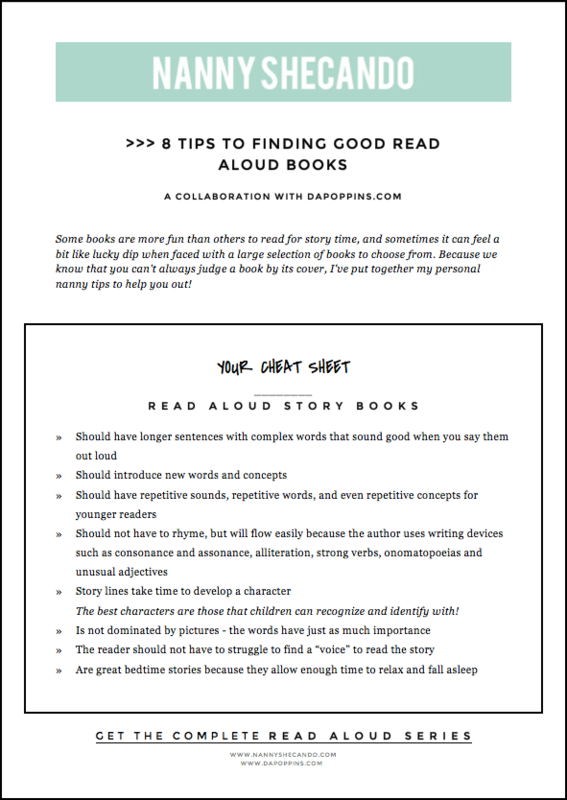 >>> How do you select good read aloud books at home? >>> Do you scout your local library for new reads too? This was Part 3 of the Read Aloud series. If you missed Part 1 or 2, you can find it here. Or click on to read Part 4 here. I just like books with a story. If it’s not telling me anything, I find it really dull. I really loved this post, especially the quote by Frank Serafini. So so true. I will definitely keep your tips in mind when I am picking bed time stories for my son. He loves the story book “Twinkle Twinkle” (I can’t remember who wrote it and it is in my son’s room), but it fits all of your tips. A good read aloud book is any book the child loves to hear and the reader loves to read! These are some awesome tips!! My 5 and 3 year olds are back into baby books now their little brother likes reading. It is annoying me as they are way past that stage!! I am hoping a trip to the library will get them back on track.